Spring 2013 West Weddings is nearly here! As always, the next edition of West Weddings is packed full of great things for those planning a wedding in the South West. 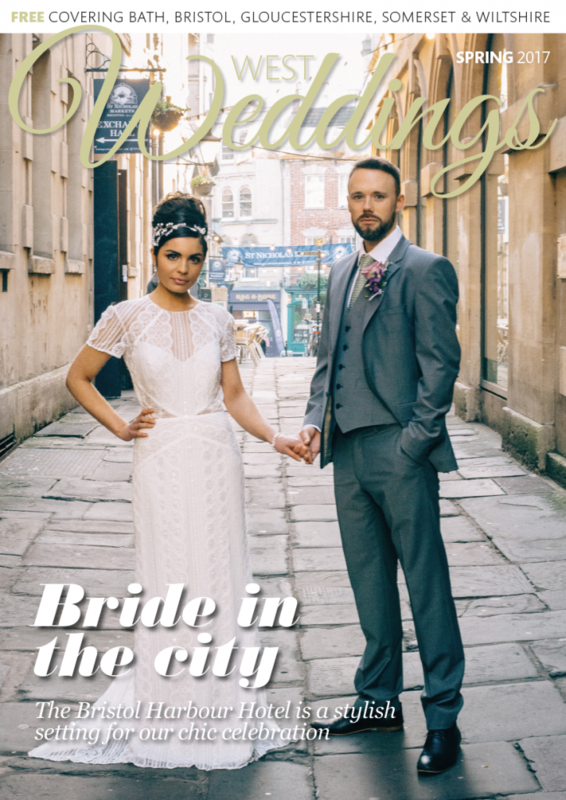 This issue includes a feature on wedding planning while you’re pregnant, looks at hen and stag dos at the Aztec Hotel in Bristol, gives tips on wedding dress shopping and has a guide for grooms on how to channel James Bond on their wedding day. Clifton College threw open its doors for our spring photo shoot which was a day filled with a riot of macaroon colours – mint green, baby blue, rose pink, egg yellow – ushering in all that’s the best about the new season. With dresses from Krystle Brides, accessories by Bridezillas, suits from Anne Harding, flowers by Chris Morison and a cake from Pretty Amazing Cakes, the day came together beautifully and was captured in his usual amazing style by David Brewin. With all this plus our usual features – in and out, beauty bible and gown gallery – grab your copy, make a cup of tea and indulge yourself in a riot of spring inspiration. West Weddings spring 2013 will be available from 25th January onwards. A list of our stockists can be found here.